It’s been awhile since I last wrote for here. I started the New Year off extremely busy with an Underground Article to write that took up a lot of my time, and then I spent the next week or so being completely sick with the flu, a cold, and some combination of the too. But I’m feeling better now, and ready to start writing more regularly again. Heading into the last City Championship of the year, I wanted to try a deck that was a little more rogue, just to try to see if the concept could work in the new format. 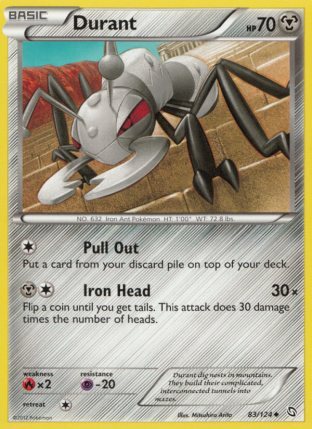 I have always been a big fan of Accelgor decks ever since the card was first released, and wanted to see if the card could have any impact on the current format. 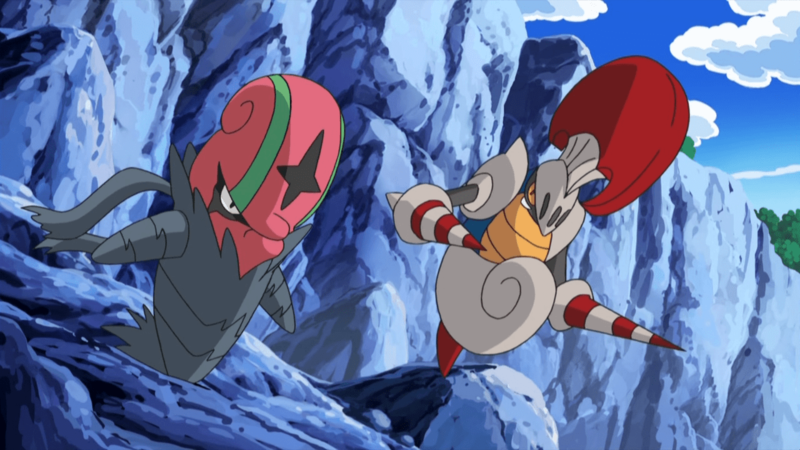 There is now one giant obstacle standing in the way of Accelgor decks, and that is Keldeo EX and its Rush In Ability, which allows for decks playing Keldeo EX to easily escape from the paralysis lock. There are a few different solutions that I have come across for combating this problem. The main idea floating around was to play the card in combination with Garbodor DRX to shut off the Ability. I was not much of a fan of this route, as Garbodor would take up a lot of space in a deck already playing another thick Stage 1 line, as well as coming with all the problems of its retreat cost. The solution I came up with was to play Accelgor with Sigilyph DRX, and promote Sigilyph DRX active, giving the deck a wall against all EX attacks. In the Blastoise/Keldeo EX matchup, this would force the opponent to devote resources to non-EX attackers such as Keldeo BCR 47 and Blastoise, neither of which was very difficult to deal with, with Darkrai EX. After testing the Blastoise matchup out extensively, I was confident that this deck could beat Blastoise in most games, so I decided to go ahead with the deck. I think Darkrai EX is a great partner for Accelgor for a few reasons. The first, is that when you’re attacking with Deck and Cover, your Energy attachment for the turn is always going to be going to Mew EX or Accelgor DEX if you want to Deck and Cover that turn, so having something that could be setup with Energy acceleration while your manually attaching for Deck and Cover is really strong, and Darkrai EX just so happens to be one of the best attackers in the game. The snipe damage from Night Spear is also very strong against a lot of decks. For example, against Blastoise decks, if I use Night Spear on a Keldeo EX and snipe to Blastoise, I can then knock it out with the poison damage after a single Deck and Cover. The Durant DRX is probably the card that seems the weirdest in this list, but it was quite good in testing. It has an attack, Pull Out, which allows you to put any card from your discard pile on top of your deck. In the late game, Durant could be used to Pull a Professor Juniper out of your discard pile, which could essentially provide you with Deck and Covers for 5+ turns to end the game. I was able to get a turn 2 Deck and Cover on his Groudon EX, and then quickly got a Darkrai EX powered up with Dark Patch. After some Deck and Covers and then Night Spears, I was able to take my six prizes very quickly with little resistance from him, as he whiffed his energy attachments and was never able to get a Flygon out in this game. This one ended up being a very close game. He was able to get Mewtwo EX setup right away, and was able to knock out all of my Shelmet to start the game, shutting off the possibility of me being able to Deck and Cover at all. I was able to fight back into the game with a couple of Darkrai EX’s, which I used to take out his Darkrai EX and a Mewtwo EX. Unfortunately for me, my Gold Potion was still prized when I needed it, so my first Darkrai EX went down before I would have liked it to. If I would have been able to erase 90 damage from that Darkrai EX, I am sure that I would have been easily able to win this game. From there, I knocked out a Sableye to get it down to 1-1 on prizes, but he had a Professor Juniper and was able to get the Energy Switches needed to move Energy to his Sigilyph to catcher KO one of the benched Sigilyph DRX that I was using to wall earlier in the game for my final prize. I wanted to X-Ball his Mewtwo EX with my Mew EX for my final prizes, but he was able to heal the damage off and discard the Energy off Mewtwo, which ruined any hope of that strategy working. I believe I would have won this game if I had placed the snipe damage from Night Spear on his Sableye a turn earlier (instead of targeting the Mewtwo EX to setup the Mew EX play), but in the end, it just came down to one turn of him being ahead, and he got the win in this one. This was a frustrating game, in that I was able to play a Supporter on turn one, but then I supporter drought for approximately 10 turns, which allowed my opponent to get completely setup before I had anything going. My opponent only played one Terrakion though, and it was prized, so I was able to just wall off with Sigilyph’s, which were just taking 10 damage from Confuse Ray for awhile. Eventually, I was able to get some semblance of a setup, and got pretty much a perfect Deck and Cover loop going. In the later game, my opponent N’d me, which caused me to draw the rest of the cards in my deck, which of course made me lose the game. In this matchup, I really wish that I had found some room for a Psychic Energy or two in the deck. My opponent had no means of dealing with Sigilyph with his Terrakion prized, so this could have been an easy win if I had the means to use Sigilyph’s Psychic attack. I got off to a pretty good start in this game, getting an early Deck and Cover game going, as well as powering up a Darkrai EX to use Night Spear as well. I ended up taking three prizes this game (I believe a Darkrai EX and a Terrakion), but the issue I had in this matchup was 1.) I could not draw into an Ultra Ball or Mew EX for the entire game, so I was stuck sending Accelgor into the deck to use my Deck and Cover attack. 2.) 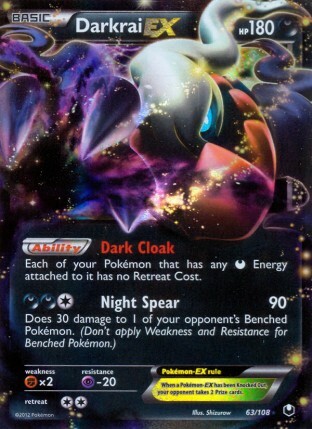 I only drew into one Dark Patch for most of the game, so I was unable to setup a second Darkrai EX to use Night Spear. There was a turn in which I whiffed the Dark Patch off of a Bianca for six (and of course it would be my top deck my next turn), which left me one Energy short of getting my next Darkrai EX setup, at which point, I could have easily taken the game knocking out his Landorus EX and then a Sableye or Darkrai EX for my final prizes. Instead, he is able to use Land’s Judgment to knockout my Darkrai EX, and from there the game was over pretty quickly. So that’s the story of my worst tournament of the year, thus far (and I doubt many will go much worse than this one went). 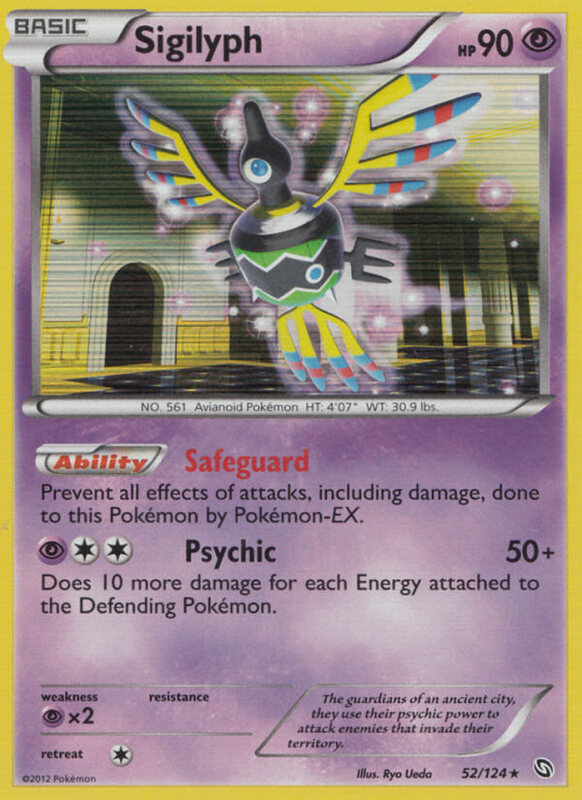 Overall, I think there is a lot to like about this deck, and I feel the idea of using Deck and Cover into a Sigilyph wall can be a very strong strategy with 1.) Decks using Darkrai EX not playing Switch and 2.) A lot of decks having very limited non-EX attacking options. For the most part though, the deck just came up a little bit short in all of my matches for me. I am confident that this concept is a strong one, but I’m not sure if I had the optimal list for such a deck, especially in the Supporter category and search categories. I just never felt I was getting the hands I wanted to make my strategy work effectively. I don’t think that Skyla is the answer to solving any of this decks issues, as the deck does need a lot of draw to do everything it want to do. The one change I would make to this list is to find room for at least one Psychic Energy. Being able to attack with Sigilyph would have been very helpful in at least a couple of my matchups. Hey Andrew. I like the concept! When I was playing around with MArVEL, I found the strongest addition to Accelgor was Landorus, allowing some nifty Deck and Cover damage calculations. Darkrai is the exact same thing but better, so I don’t know why I didn’t go back to the idea of Darkrai/Accelgor! 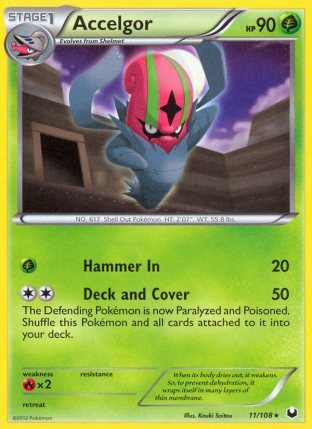 It’s also a really important point to bring up that Darkrai has energy accel, which means you can pull off a Deck and Cover and get an attachment in to prep another Pokemon in the same turn. Just for discussion, this’d be my list entering things. Bianca is a double-edged sword in this deck. Good for Darkrai, bad for Accelgor. Also, Pull Out Durant is kind of fun, but with Sableye in the deck (and my addition of Computer Search and an additional Cheren), you should have Supporter outs. 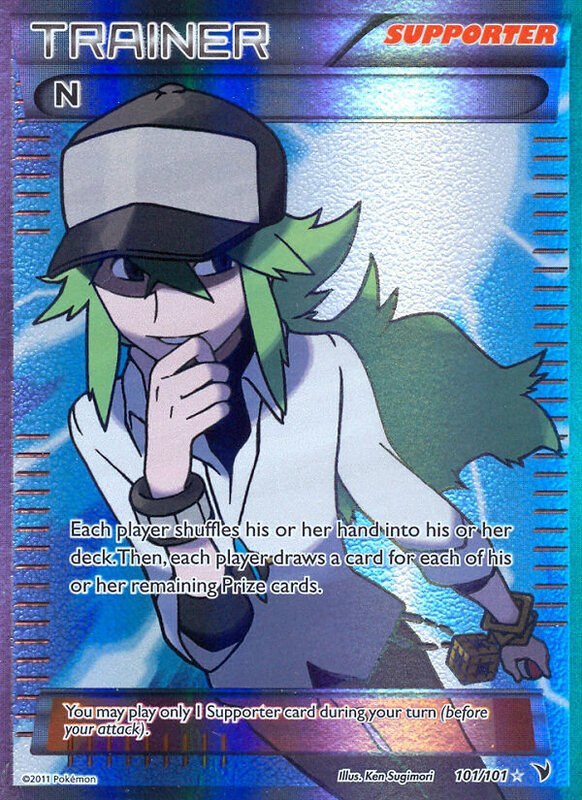 Also, Cheren is Accelgor’s best friend, being the only supporter that can draw unconditionally, meaning you can hold onto a large hand and still fish for the DCE. I’d be tempted to run 4 Cheren 2 Bianca, but I think I’d be focused on Accelgor too much, when this deck is still a Darkrai deck. Needs more Ditto, Rescue Scarf, and Shedinja; needs less Darkrai/Sableye/Durant.